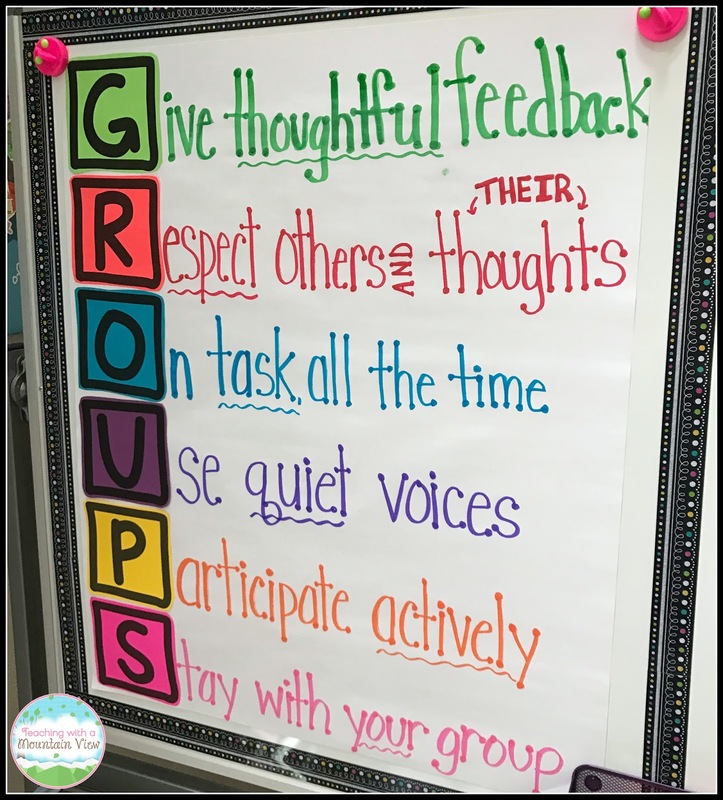 I didn't create the acronym (though I have changed a few of the words over the years), but I will never have a classroom without it! 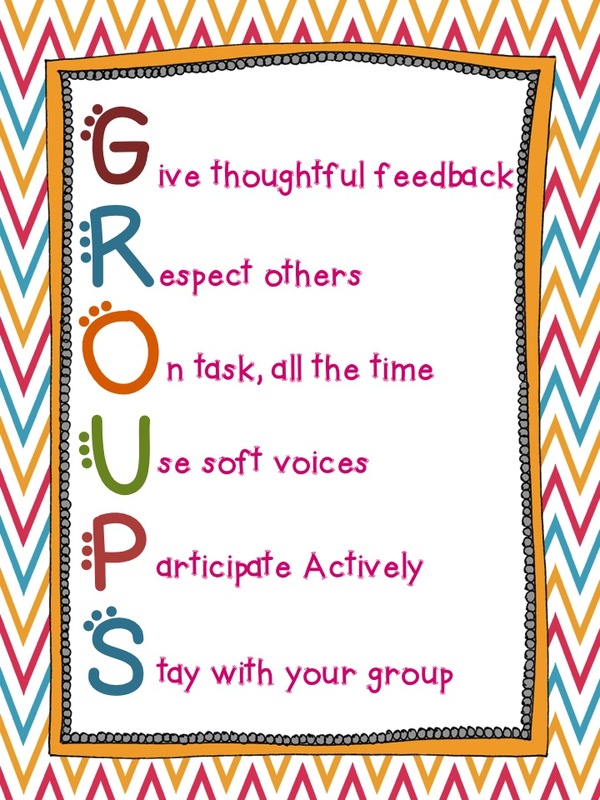 I usually introduce it during morning meeting and we chat all week about what each of these ideas looks like and sounds like. Edited to add: After this poster has been pinned thousands of times, I decided to share a printable version of the poster. 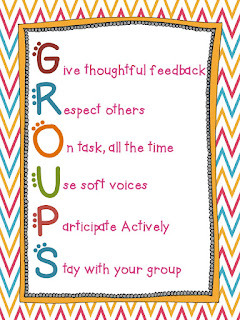 Download your freebie HERE. I am your newest follower :) What a great blog you have! I need to find time to blog more... how do you make time to blog so often?? Any tips, tricks?? This is such a great poster! 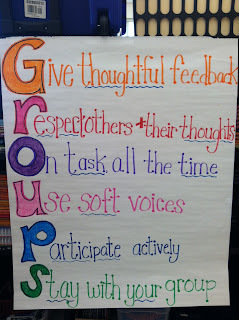 I have never seen this acronym before. Oh! I got it http://www.officesuppliesdaily.com/. Really great work with the content. I love this way to work on. I will discuss with my dearest and nearest concerning the topic. Sure, I will wait for more posts like this. Thanks a lot……..
Hi Mary! 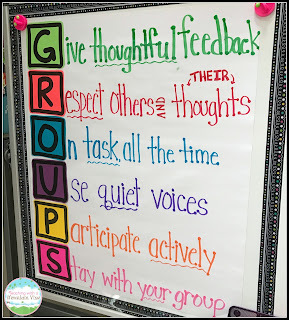 I love this anchor chart! I featured it on my collaborative blog today and I hope that brings your page some love too! :) Here is the post. 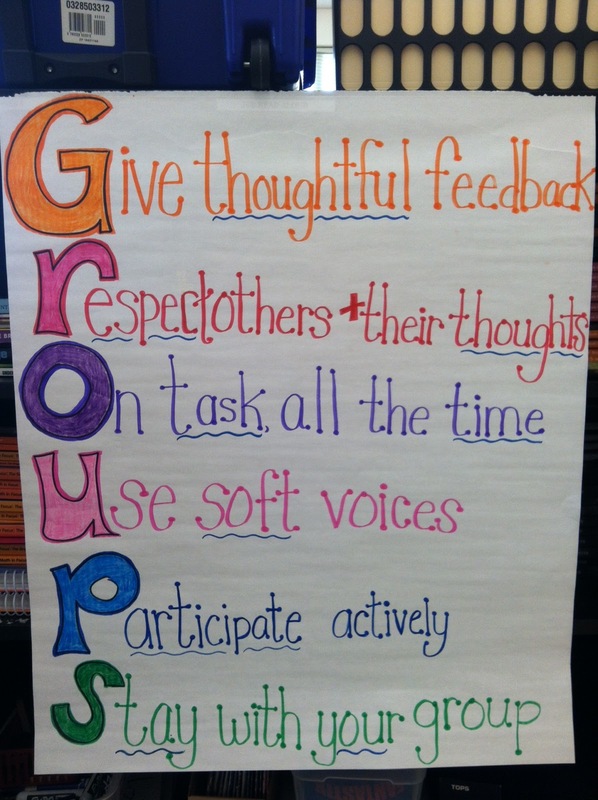 Love your GROUPS acronym poster!! I've had it downloaded for awhile but can't remember what size it is supposed to be. Could you let me know? I'd love to have it up for the first day of school. Thanks sooooo much for sharing!